As South Florida wakes up following Hurricane Matthew's pass through the area, images of damage have started to emerge. Across the state, more than 593,000 electrical customers were without power at 9 a.m., including more than 52,000 in Palm Beach County, around 50,000 in Indian River County, 44,000 in Marti, 41,000 in St. Lucie and 1,600 in Okeechobee. Reports of damage are largely confined to downed trees and damaged boats. A St. Lucie County woman died as a result of cardiac arrest overnight. Her death is considered storm-related because emergency crews could not respond to the call. 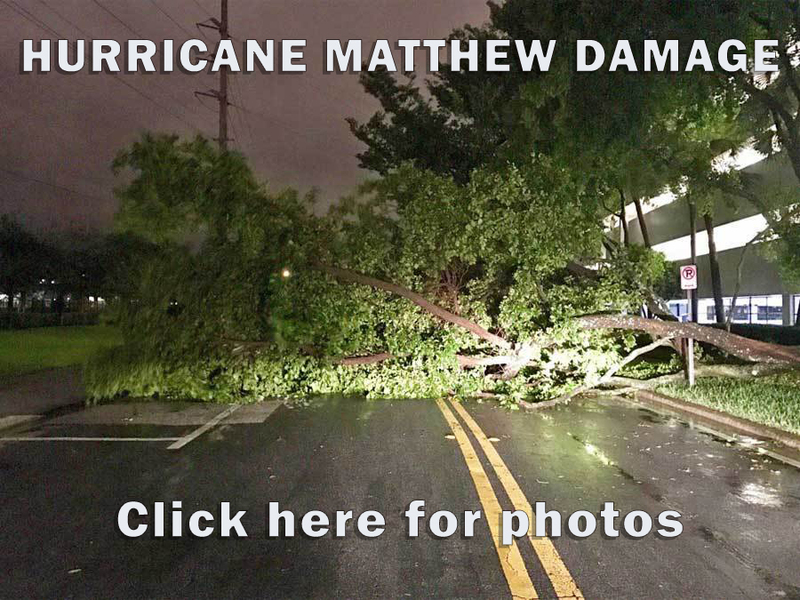 Click the image below for photos of the damage. We will continue to update the gallery as we get new images. Email yours to youreport@wptv.com .